Special offer: Exclusive White Acres discount…. 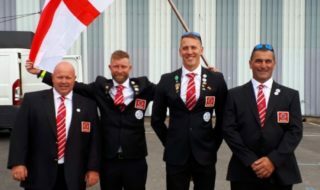 TOTAL-FISHING.COM has teamed up with White Acres to offer its members an exclusive discount off the price of holidays and short breaks to the prolific Cornish complex. Signed-up members of the Total-Fishing forums and subscribers to the Total-Fishing newsletter can claim 10 per cent off the normal price of a week’s holiday taken between May 3 and <?xml:namespace prefix = st1 ns = "urn:schemas-microsoft-com:office:smarttags" />July 12, 2003 inclusive. Holidays are from Saturday to Saturday. Whitsun week 24th May is excluded as are the Log Cabin Lodges. This special offer is open only during the month of February and only to the first 25 anglers who quote the reference TTF100 when booking. It can be claimed off the tariff price of any caravan/holiday home subject availability. Just give White Acres a call on 0870 445590 and quote the reference. The dates above mean that the discount can be claimed during the period of the new White Acres Virgins Festival in early June. However, if you want to take part you had better be quick, because over half of the 72 available places for this event have already been taken. 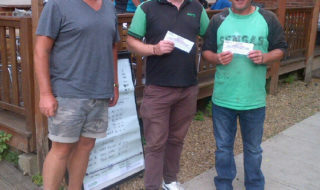 White Acres Fishery Manager Clint Elliott commented: “We feel from viewing the forums that there are plenty of Total-Fishing members who would revel in the brilliant facilities and superb fishing provided at White Acres. 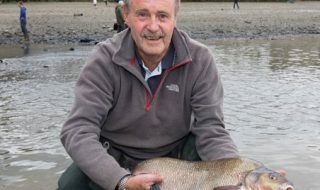 “It really is a wonderful place to come with friends or family and if you enjoy competitive fishing I can assure everyone that they will love every minute and what’s more, the weather in Cornwall is usually great in early summer. “The Virgin’s Festival is certain to sell out but we are happy to include that week in the special offer for Total-Fishing members,” he added. 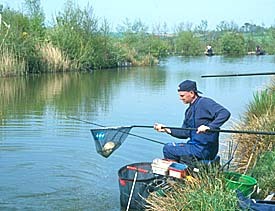 To find out more about the many and varied fish-filled lakes at White Acres and the brilliant accommodation, entertainment and match calendar at the complex, just visit www.whiteacres.co.uk . * Please note that the offer can only be claimed for bookings taken in the month of February 2003 and cannot be combined with any other offer.